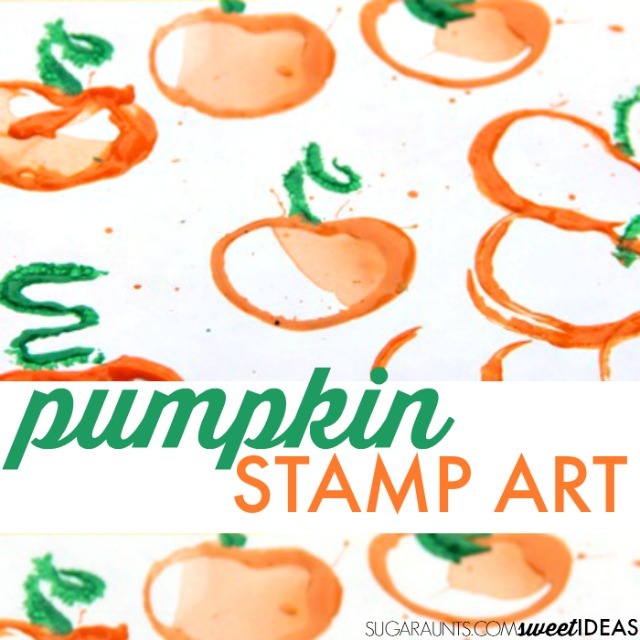 This pumpkin stamp art craft is perfect for Halloween or your Fall play date with the kid's friends. 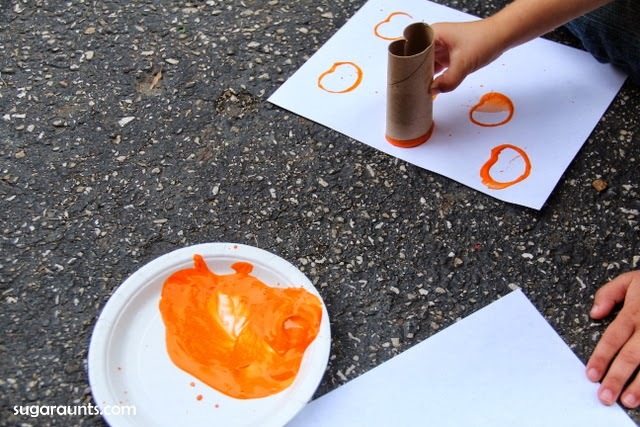 It's a creative way to use up recycled toilet paper rolls while creating festive harvest-themed art. 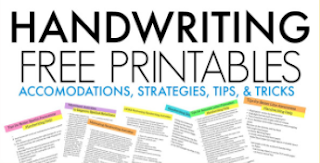 You know we love coming up with crafts for kids, especially crafts that use recycled materials and this one is no exception! It's actually a fun kids' craft that was on the blog for a long time and we decided to fix up to share again! 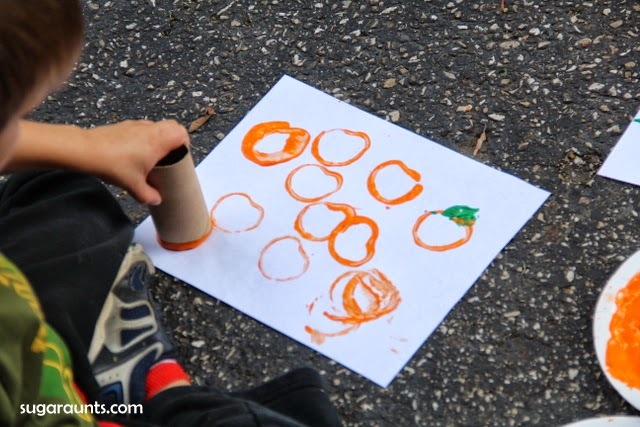 Recently we made these Toilet Paper Roll Apple Stamps. 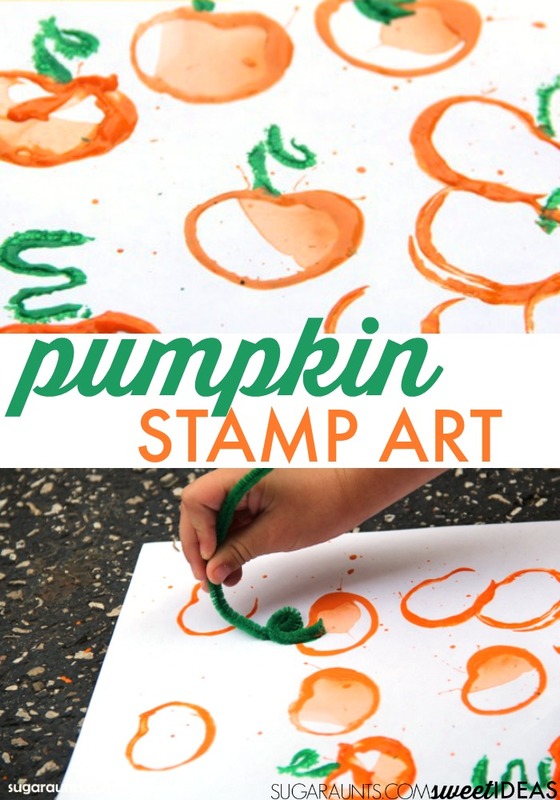 Thinking about them, we decided to make a similar stamp art project, this time creating pumpkins! 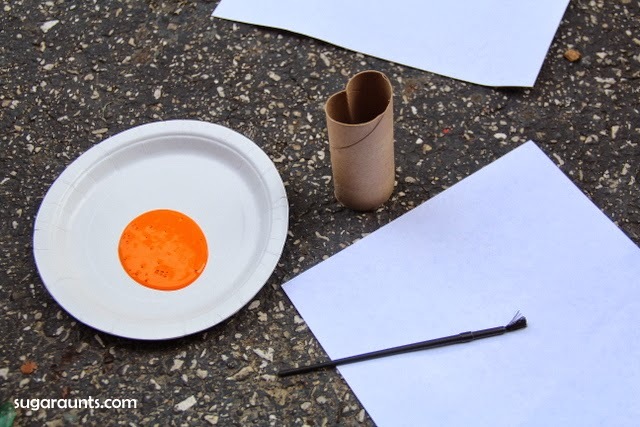 Starting with the paper roll, I pinched it just a little bit to make a heart-ish shape. 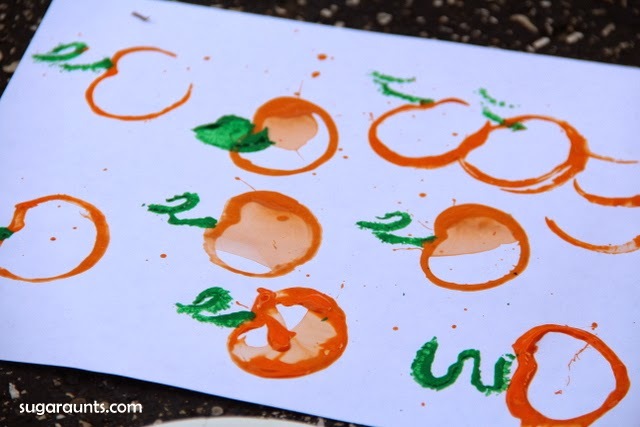 Add a little orange paint to a paper plate, and start stamping away onto paper. 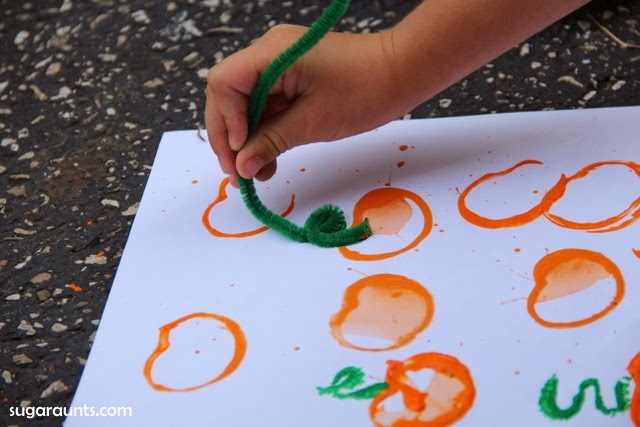 We took this art project outside to enjoy a nice Fall afternoon. Right on the driveway worked for us! 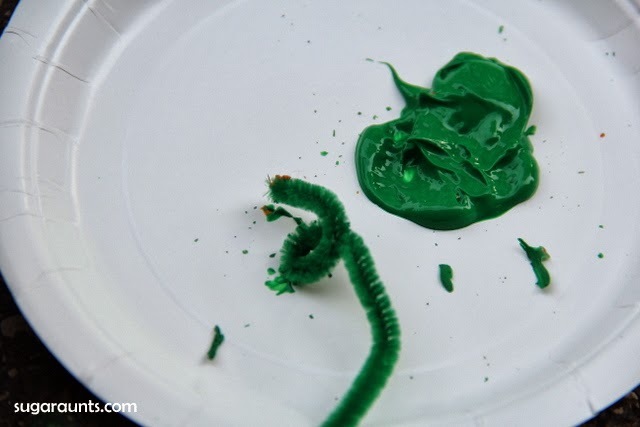 For the stem, I curled a pipe cleaner into a curly-Q shape and poured a little green paint onto a plate. 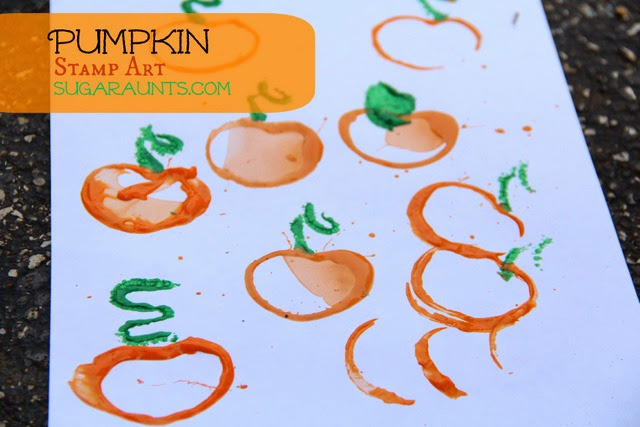 It worked pretty well for a green vine stamper to add to our pumpkins!